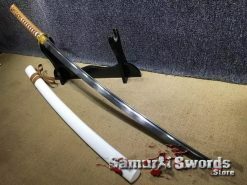 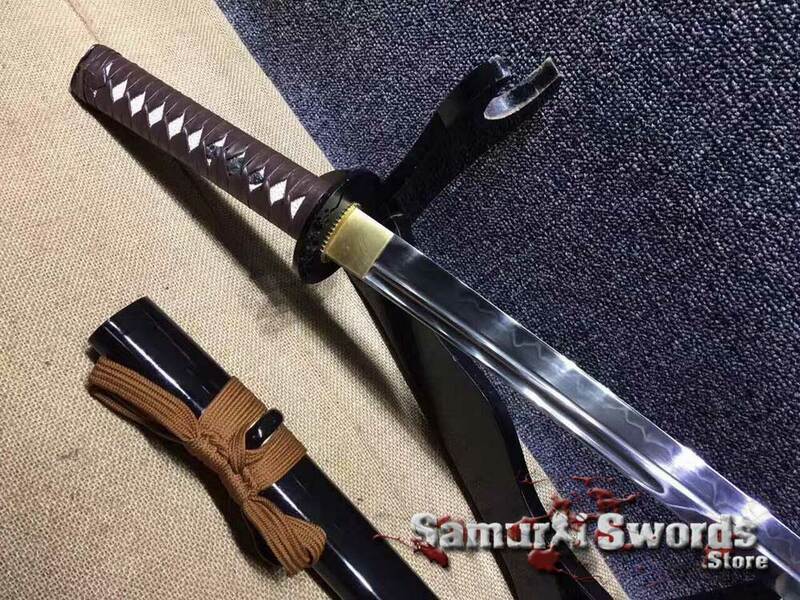 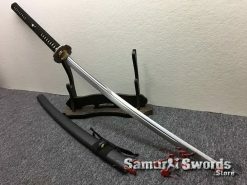 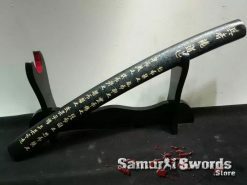 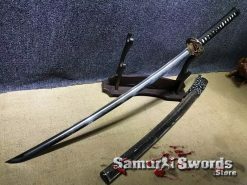 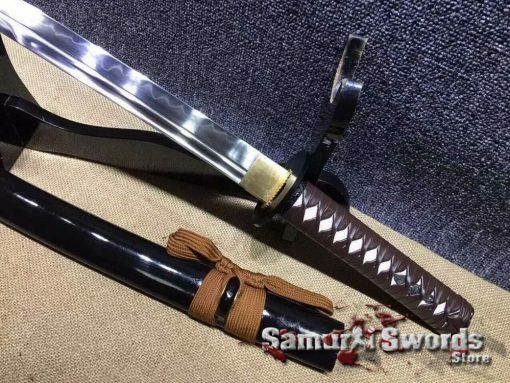 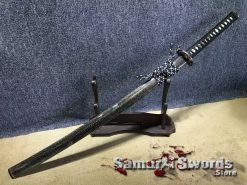 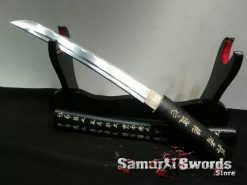 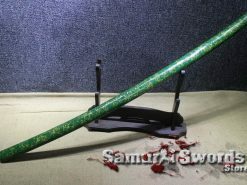 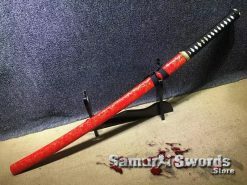 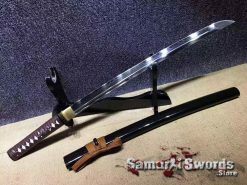 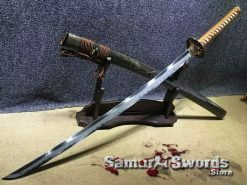 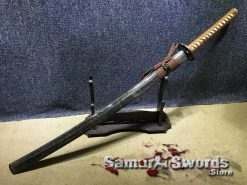 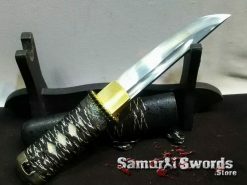 In the past, the Wakizashi sword was paired with a katana and the samurai class was the only group of individuals who were allowed to wear these together. 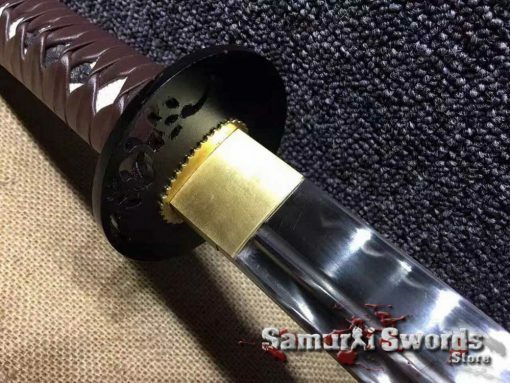 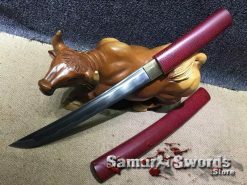 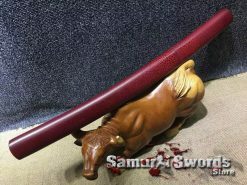 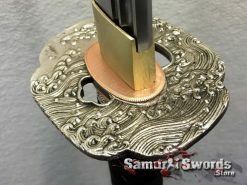 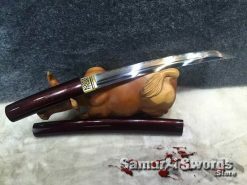 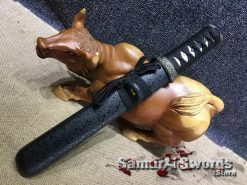 The fittings of this Wakizashi is made using a variety of materials: its tsuba is made from iron, the fuchi and kashira are both made using metal, while the menuki which fashions the sword handle wrap is made from brass. 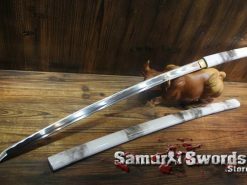 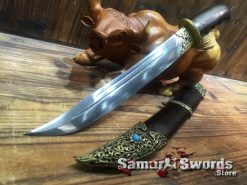 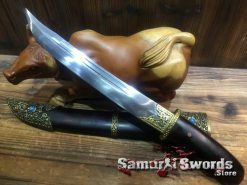 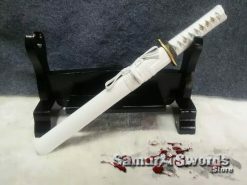 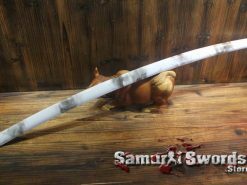 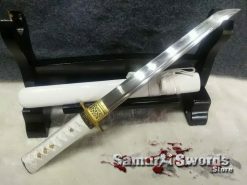 it is protected by white ray skin that is wrapped with brown leather which provides the user with comfort while gripping the sword. 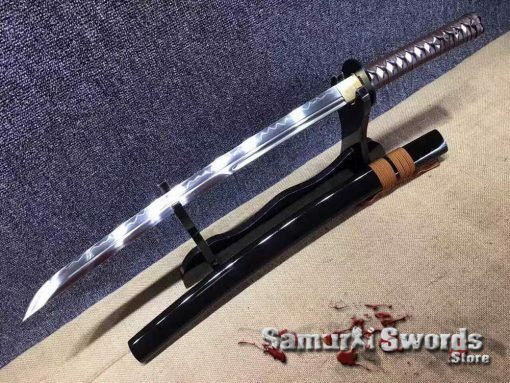 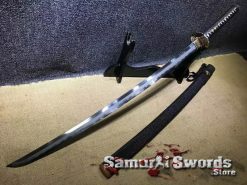 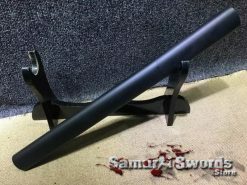 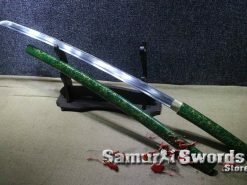 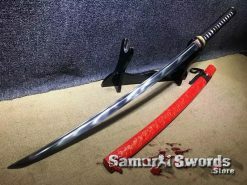 The Saya comes with a simple yet sleek black design; for additional protection, the sword also comes with a silk sword bag. 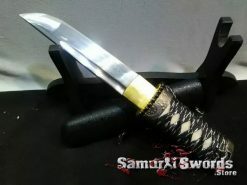 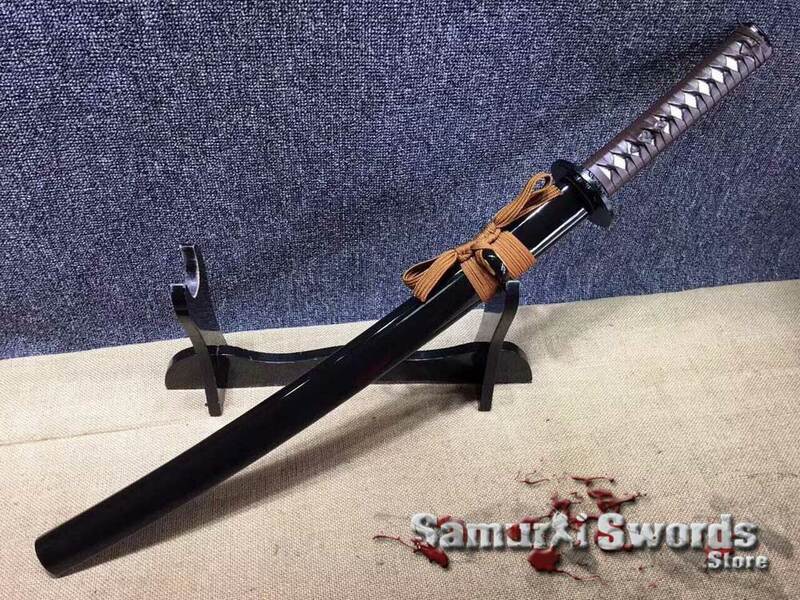 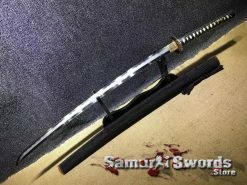 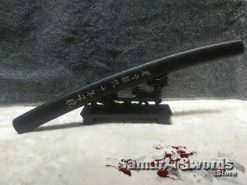 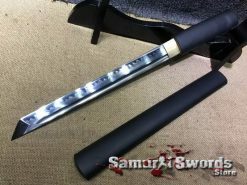 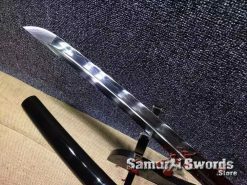 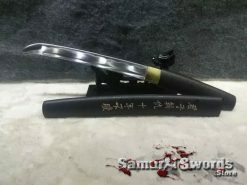 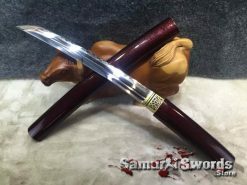 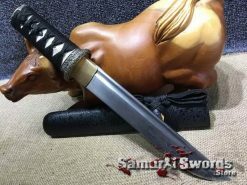 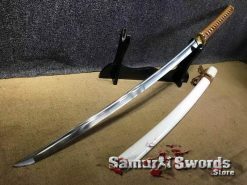 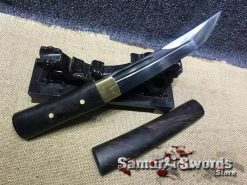 This Wakizashi has a shorter blade length compared to a Katana. The blade measurement is about fifty-one centimeters while its width is 3.2 centimeters; it has a twenty-one centimeters handle that is adequate for gripping, and its weight is 1.28 kilograms in total.